Microsoft Ignite : Did your 2016 just get busier? If you weren’t aware Microsoft is hosting its Ignite conference this week in Chicago (May 4th-8th). So how popular is Ignite? Joe Belfiore (@joebelfiore) revealed during the Cortana Power BI demo that over 23,000 people were in attendance. Unfortunately, I couldn’t make this conference. But luckily Microsoft has not forgotten us. You can watch the on-demand recording of the keynote here. 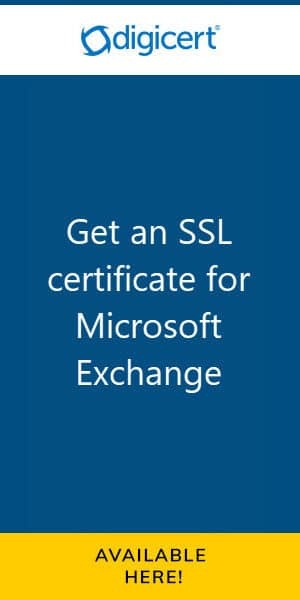 Furthermore, Channel 9 is live streaming several of the sessions at http://channel9.msdn.com/. Their featured session guide is on the front page. UPDATE: Channel 9 has all the Ignite recordings available here. There are 688 recorded sessions!! If you saw the keynote then you know there was a slew of product announcements made. Microsoft CEO, Satya Nadella (@satyanadella), announced several new product releases. Many of which are already available for preview, or, will be second half 2015. One message from Satya’s presentation was very clear. [Read more…] about Microsoft Ignite : Did your 2016 just get busier? If you missed the Windows 10 keynote then you missed more than you can possibly imagine. Going into the Microsoft event I expected the content to be solely focused on Windows 10 for the PC. But I was wrong. It was so much more than that! Microsoft truly wowed us. My mind was completely blown. At a nuclear level. My good friend Bill Macy and I were madly lighting up Lync Chat like two giddy children on Christmas morning. It was toys galore! (There may have geek hyperventilating as well). But enough of that. Let’s discuss the highlights. Previously, when a new operating system shipped the mentality of many was to wait for at least one service pack level before mass adoption. The idea was that by the first service pack most bugs would be worked out. 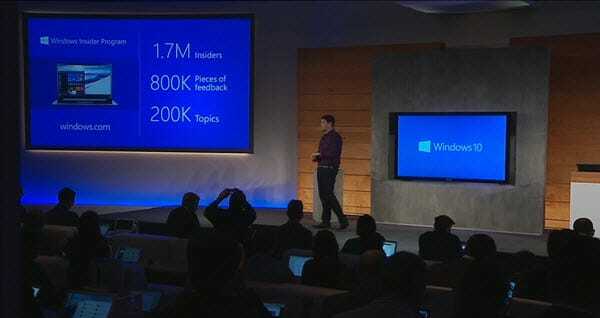 In the first few minutes of the keynote, Terry Myerson discussed the new Insider Program. Microsoft describes the program as an “Open Development Process”. This process puts technical previews into the hands of the end-users. As a result, Microsoft already has 3 million installs of Windows 10 on devices. A network of 1.7 million participants. A system that has already produced 800,000 pieces of feedback. Microsoft Engineers describe the Insider Program as “co-creating the future of Windows with you” and “making sure the product matches your expectations”. Is this early adoption and massive feedback the answer? Will Windows 10 be rock solid right out of the gate? ‘What’s this?’ you may ask, ‘Microsoft made a mistake with Windows 8.1?’. And while not apparent to most users, it is something that will affect many network administrators, desktop support technicians and technology consultants alike. Those that know me may also wonder why I have posted such a powerful heading like the one above. My coworkers often accuse me of drinking the Microsoft Kool-Aid. With my PC running Windows 8.1, with Internet Explorer 11 as my default browser, my Bing.com homepage, Bing Bar and Bing Desktop apps, my Windows Phone and my Xbox (oh and the fact I want to buy a car with Sync), I honestly don’t know where they get it from. Internet Explorer 11 Preview For Windows 7 now available! Microsoft has released its preview for Internet Explorer 11 for Windows 7. The full blog post can be found here. This blog post has a great video with a significant benchmark test versus Google Chrome and it clearly smokes Google Chrome on that test. The video explains that Internet Explorer can now harness a computers GPU to perform graphics rendering for web applications. Check the video out for yourself! [Read more…] about Internet Explorer 11 Preview For Windows 7 now available!